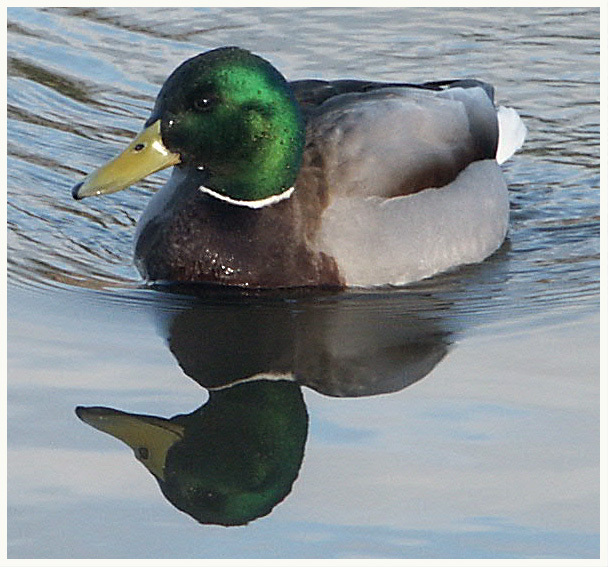 Mallard drake swimming in a Munster pond. Isn't nature wonderful? Composition needs direction. is this symmetry or reflection? nice capture though! At first I was distracted by the ripples, but it actually gives it a very nice effect. The refection gives a very painted feel. Proudly hosted by Sargasso Networks. Current Server Time: 04/20/2019 02:15:02 PM EDT.